•To send you promotional emails about products, services, offers and other things we think might be relevant to you. •To send you promotional mailings or to call you about products, services, offers and other things we think might be relevant to you. •To contact you via email, telephone or mail for market research reasons. •Analyse our web traffic using an analytics package. Aggregated usage data helps us improve the website structure, design, content and functions. •Identify whether you are signed in to our website. A cookie allows us to check whether you are signed in to the site. •Test content on our website. For example, 50% of our users might see one piece of content, the other 50% a different piece of content. •Store information about your preferences. The website can then present you with information you will find more relevant and interesting. •To recognise when you return to our website. We may show your relevant content, or provide functionality you used previously. •Opt-in to receive marketing communications from us by email, telephone, text message or post. •Opt-in to receive marketing communications from our third-party partners by email, telephone, text message or post. •Sign in to our website and change your opt-in settings.  •Send an email to chemist(at)callendarpharmacy.co.uk. Any personal information we hold about you is stored and processed under our data protection policy, in line with the Data Protection Act 2018 and the General Data Protection Regulation (GDPR) (EU) 2016/679. We also follow stringent procedures to ensure we work with all personal data in line with the Data Protection Act 2018 and the General Data Protection Regulation (GDPR) (EU) 2016/679. Please note that we have no control of websites outside the www.callendarpharmacy.co.uk domain. If you provide information to a website to which we link, we are not responsible for its protection and privacy. Please feel free to contact us for advice and to find out more about the services we offer instore and online.